Early blight and late blight are fungal diseases that can stunt or kill your tomato plants. These diseases are assisted by wet weather conditions, which accelerate the spread of spores. Avoid the incidence of blight by rotating your crops, avoid wetting the foliage by watering at the base of your plants and destroy old tomato vines in the fall, according to Beverly Shaw, Advanced Master Gardener at Purdue University. To further protect your crops, choose blight-resistant tomato varieties. The Juliet tomato is resistant to early blight and late blight. This indeterminate cherry tomato is crack-resistant and produces clusters of tomatoes in 60 days. 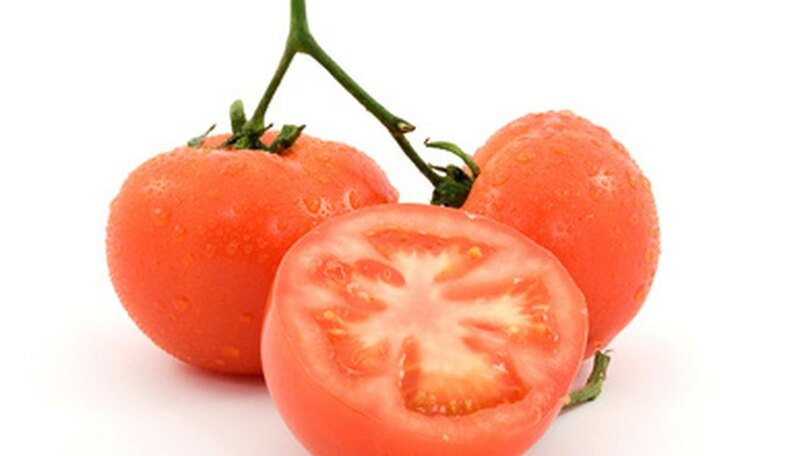 It is a sweet tomato that is used for salads and other dishes. Although this tomato is in the cherry category, the University of California Cooperative Extension states that it is actually the size of a small Roma tomato. The Tommy Toe tomato is resistant to early blight. This indeterminate heirloom cherry tomato is productive in 70 days and is a strong producer throughout the season. Because it is a juicy tomato, it is often used to make tomato juice or in salads. The Manalucie tomato is resistant to early blight. This indeterminate tomato plant produces sizable yields of large tomatoes in 82 days. The Manalucie tomato plant’s abundant leaves protect the fruit and blooms from the hot sun, so it is still productive in hot climates. The Legend tomato is resistant to early blight and late blight. This determinate tomato plant does well in all weather conditions and produces substantial yields within 68 days. The Territorial Seed Company states that this tomato plant reaches maturity earlier than other slicing tomatoes. The fruit of this tomato plant is large, round and sweet. The Plum Dandy tomato has high resistance to early blight. This indeterminate tomato plant produces large clusters of plum-shaped tomatoes within 68 days. The plum dandy is used in salads for its sweet taste and good color. It is also used for cooking, saucing and fresh eating. This tomato does well in containers or raised beds. The Mountain Fresh Plus tomato is resistant to early blight. This determinant tomato plant produces large yields in 77 days. It is recommended for farmer’s market vendors as well as home gardeners. The New Hampshire Surecrop tomato comes from Mexico and is resistant to late blight. It is a determinate variety that produces large tangy fruit. The New Hampshire Surecrop tomato’s preferred uses are slicing and canning. It reaches maturity in 78 days.